Our interlocking stencils are marking tools for the stencil marking of crates, pallets, boxes, aisles, cardboard and wooden boxes. These stencils are even more comfortable to use as you can simply slot the single stencils together to create words, numbers, signs and more. 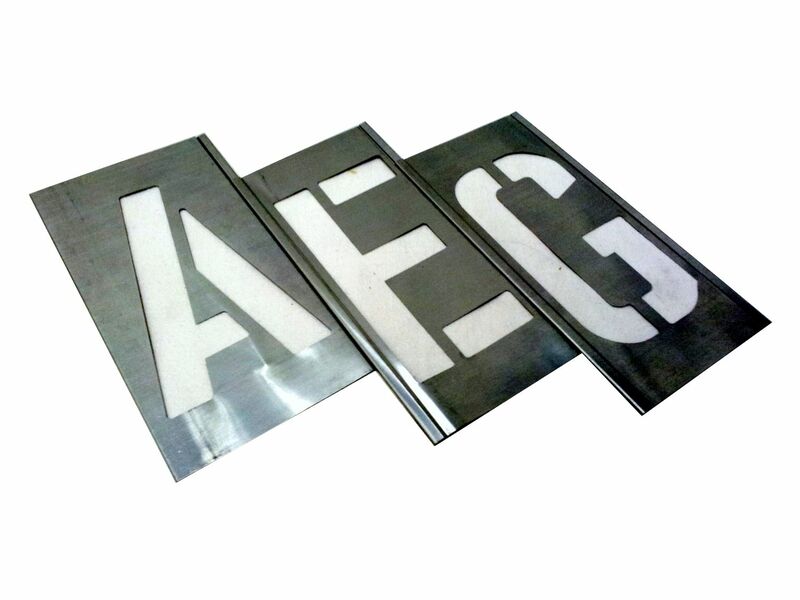 Our interlocking stencils are made of brass or zinc, depending on the character size. With restrictions, it is possible to slot together even stencils with different character sizes. Interlocking stencils can be used together with any marking accessories like fountain rollers or fountain brushes. With our special marking inks, almost any material can be marked.